Welcome to my lovely 1-bedroom flat in the heart of Soho! 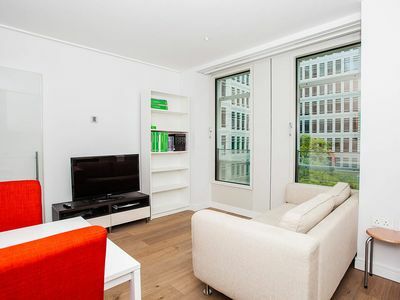 Located on St Giles Piazza, this newly-refurbished flat features plenty of space and all the amenities to ensure you have an amazing stay in London. Around the corner from Tottenham Court Road station, you couldn't ask for a more central getaway, with Oxford Street 5 minutes walk away, and all the magic West End theatres have to offer on your doorstep. The open-plan living room is perfect for relaxing after a long day exploring London. There is a comfy sofa as well as a TV to keep you entertained. In the bedroom you will find an exceptionally comfortable king size bed to ensure you get a good night’s sleep. My cleaners place fresh, hotel quality linen and towels on your bed prior to arrival. Finally, the flat boasts a bathroom with a massive shower. Toiletries including shower gel and shampoo provided!